How can a bike shop compete with an online bicycle retailer? The answer is already in your bike shop. Given the different cost bases for an online bicycle retailer compared to a bricks and mortar retail bike shop makes it impossible to compete on price, so how do you compete? The one thing an online bike retailer cannot do is provide bicycle repairs and servicing. As the online retailer does not a bricks and mortar workshop they cannot offer this service, this is your competitive advantage. 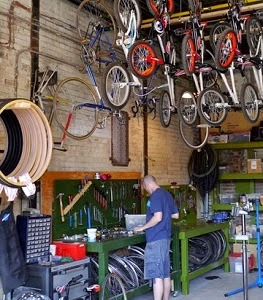 A workshop connected to your bike shop gives you a massive advantage as any bike sold will require servicing or repairs at some stage even if it is brought online. You might not be able to compete with the online retailer on price but you can bundle in some free servicing to win the sale. You also want to encourage your customer to purchase multiple servicing packages upfront to lock in a recurring income and visits back to your bike shop. You now need to make managing the service and repairs booking process as efficient as possible to convert your customers in to repeat customers. Every time they come to your shop for a service or repair you have an opportunity to make another sale. So you now need to get smart with managing your bicycle repair workshop to make it quick and easy for your customer to book in a service and purchase servicing packages. To do this you need an online booking account that caters for purchasing servicing packages and making bookings. Bookitlive provides bike shops online software that automates the package purchasing and servicing booking process. By providing fully integrated servicing package purchase and booking redemption process, customers are able to purchase and book online themselves without even calling you. bookitlive is a leading provider of cloud based online booking solutions to manage online bookings and payments. Used by bike shops everywhere to compete with online retailers. Founded in 2008, bookitlive’s client base includes businesses in the United Kingdom UK, Canada, Ireland, India, New Zealand, Norway, Russia, United States USA and many more. Its headquarters are in Melbourne, Australia. 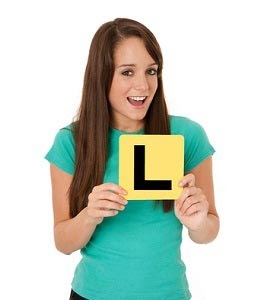 The amount of time an effort it takes for Driving Schools to manually schedule lessons and sell lesson packages over the phone is a massive operating expense. Bookitlive is changing the way driving schools manage their businesses by automating the package purchasing and lesson booking process. By providing fully integrated lesson package purchase and booking redemption process, student are able to purchase and book online without themselves without calling you. When a student purchases a lesson package online they are automatically emailed a voucher code that can be used to book lessons online. Used by small to enterprise corporations, state and local government departments, hospitals, banks, councils, corporate health care providers, universities and global corporation all successfully maximising efficiency by using bookitlive as an integral part of their day to day operations. When running a business it can often be tough to keep track of everything. With this cloud based software you can operate efficiently, whether you’re at work, home, or on the road. Here is the must have software for 2016. Dropbox is our favourite cloud-based file storage service that allows you to sync files to any of your devices. It also acts as a back-up service, keeping your all-important documents safe and making sure you never lose a document again! Dropbox can even be used for bigger businesses, allowing staff to swap and share documents in real-time. bookitlive is a cloud-based software that takes care of all your booking & payment requirements. With Bookitlive, you can easily take bookings and payments online through your website and Facebook page. Bookitlive makes it easy to make, move and manage bookings and manage client details. bookitlive helps reduce no-shows, as users are able to send their clients SMS notification and take payments at the time of booking. bookitlive is a also a great marketing tool, as you can offer your customers discounts, vouchers and promotions. Evernote is a handy notebook tool. With Evernote, you can sync notebooks to all your devices. It’s great for noting down ideas or to-do lists whilst on the move. Evernote can also be used for managing your expenses, such as your receipts and invoices, and also for travelling as you can save your reservations, tickets and itineraries without worry. A great fund raising idea is to book out a whole day at an Indoor Trampoline Center (discounted rates are available for booking the whole centre) You then sell your own tickets to the event and raise money from the difference in price. The only draw back is managing the ticket sales as this is very time consuming if you have to do it manually by collecting cash. Recently a primary school booked out the Bounce Indoor Trampoline Centre who have there own online booking software but this would not work for selling their ticket to the event. They solved the problem by engaging bookitlive to sell the tickets for them. As bookitlive is a leading supplier of online booking and payment software for Indoor Trampoline Centres they were able to have a booking and payment page setup in under an hour.